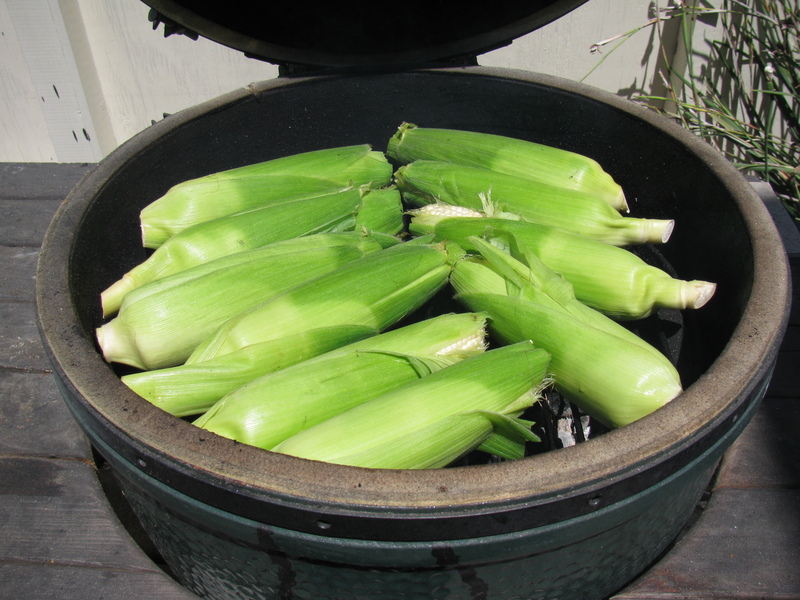 Summer is here, and this means corn on the cob. A local grocer had a great sale, 6 ears for a dollar, so I bought a dozen. 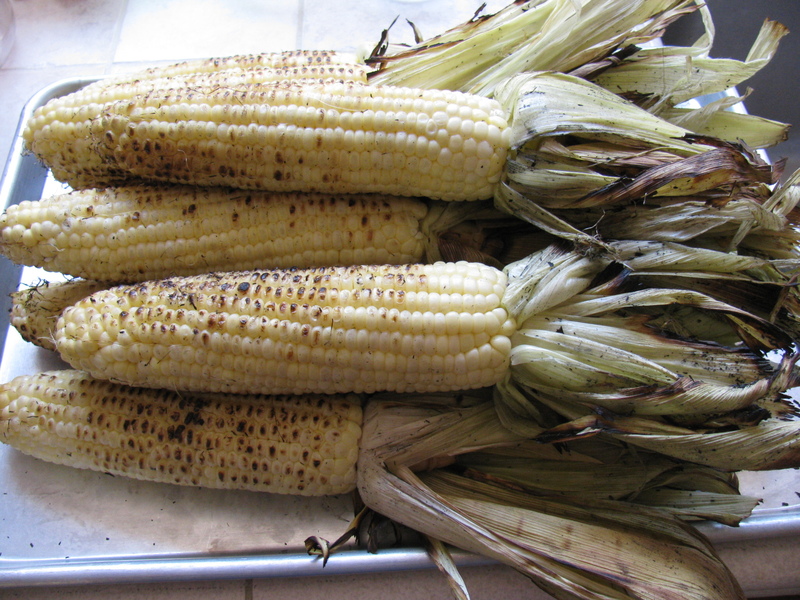 Some people do a lot of prep work when they barbecue corn, I decided a long time ago to just soak ’em and grill ’em. 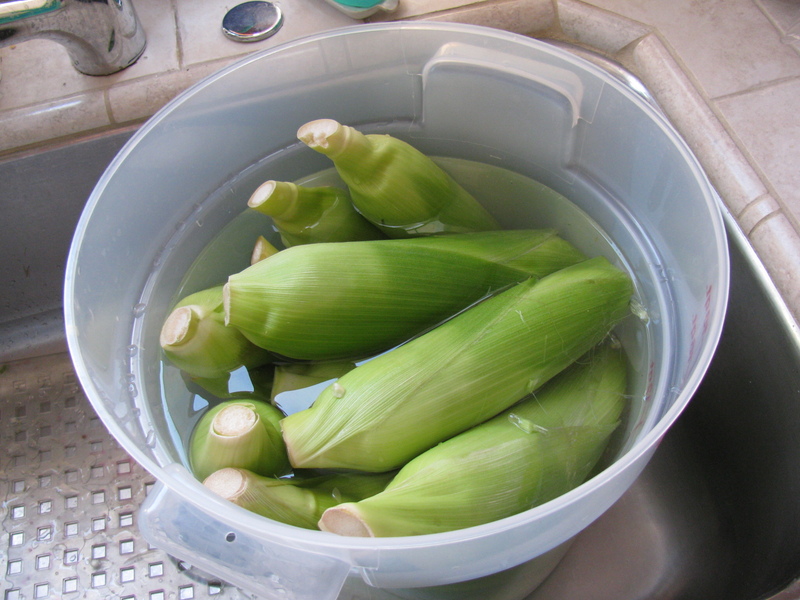 I trim the husks but leave the stems and soak the ears in plain water for a few minutes. No need to remove the silk inside. I do, however, check for worms and other critters inside the husks, just in case anything alive is crawling around inside. Anything inside will die, so there isn’t too much to worry about. 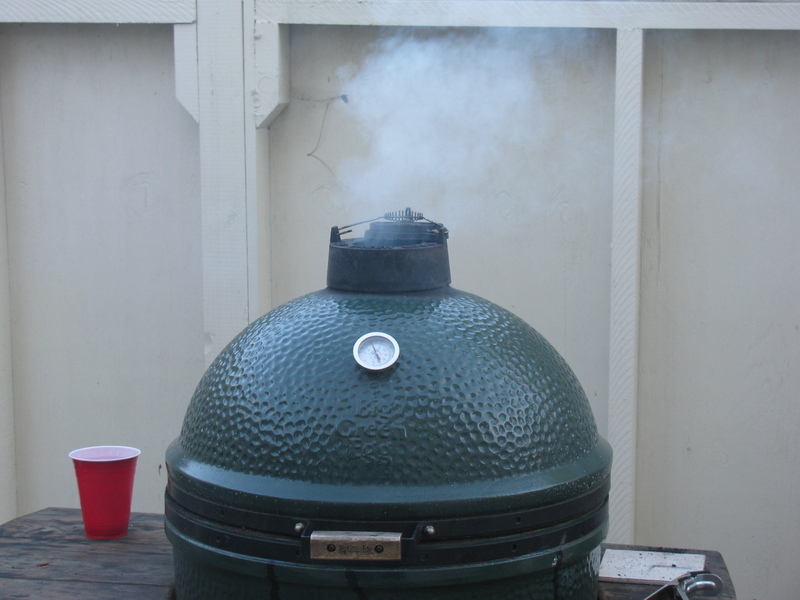 Make the fire in the Big Green Egg. Set up for direct grilling, high heat. This takes a while. . .
At some point, the husks will turn brown. This is the fun part, since the husks usually catch fire and burn. If this happens, do not panic. 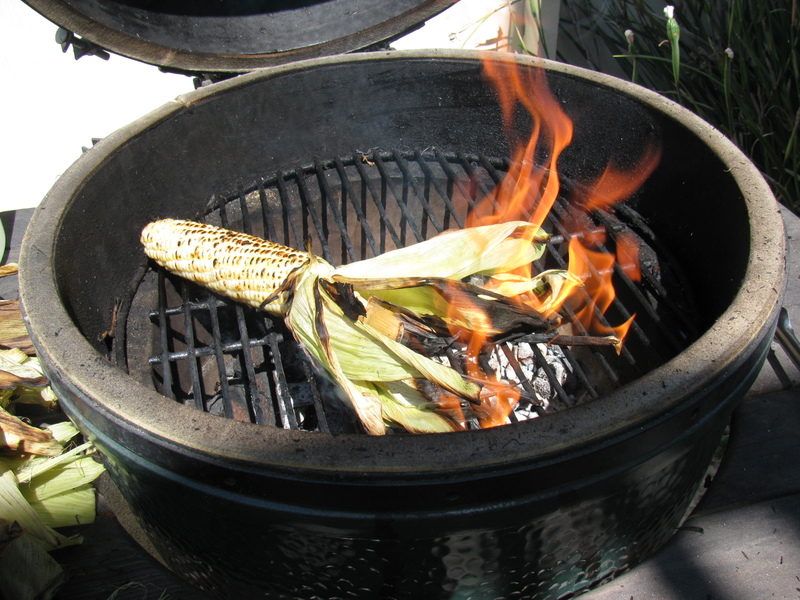 Just grab the ear with your tongs and use the fire to burn off the silk and the husks. 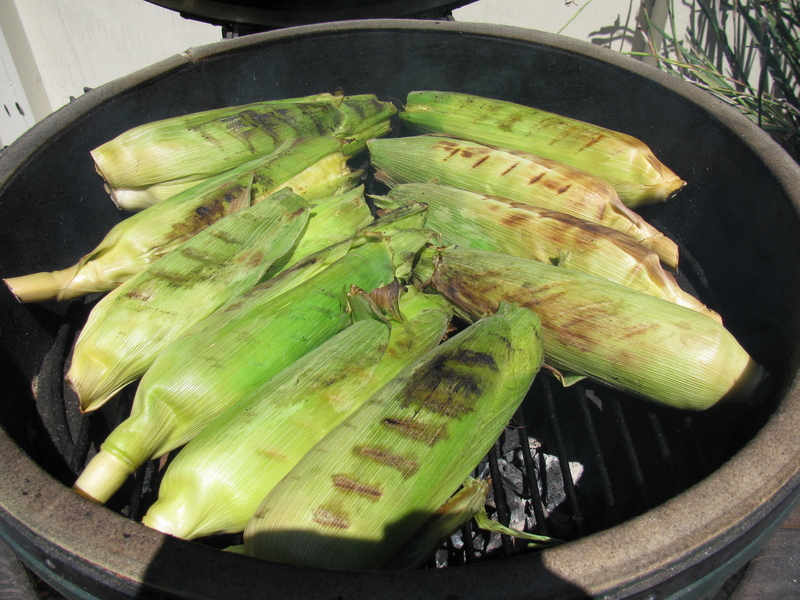 When corn husks catch fire – just let it burn off the silk and the husk – saves time later! 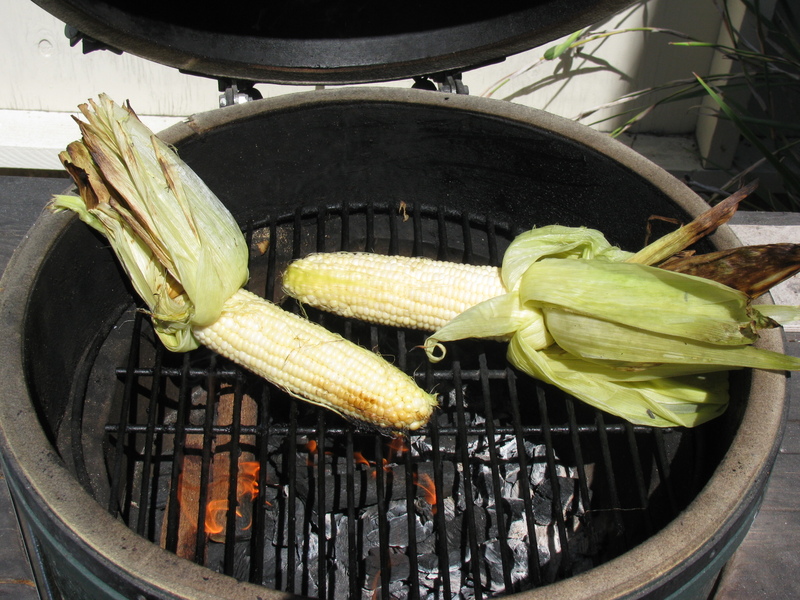 And there you have it — corn on the cob on the Big Green Egg! Use your imagination for finishing and serving the corn. Other than some freshly ground salt and pepper, I enjoy the corn as-is.